Oyster River/ Little Bay / Great Bay Location: Jackson’s Landing off of Piscataqua Rd., Durham, NH (not a mailing address). 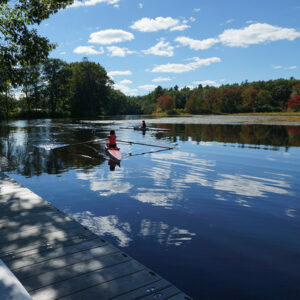 Jim Dreher was the founder of UNH Rowing Program and was responsible for getting the boathouse constructed at Jackson’s Landing on town land for the equal use by the University and Community in 1975. 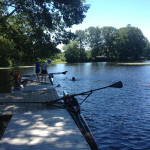 Initially the UNH Rowing program and the Community Program was called the UNH / Durham Rowing Association. With the growth of popularity of the rowing in Durham and the divergence of focus of the two programs, the UNH Crew Program and the Durham Boat Club became separate entities in 1978. 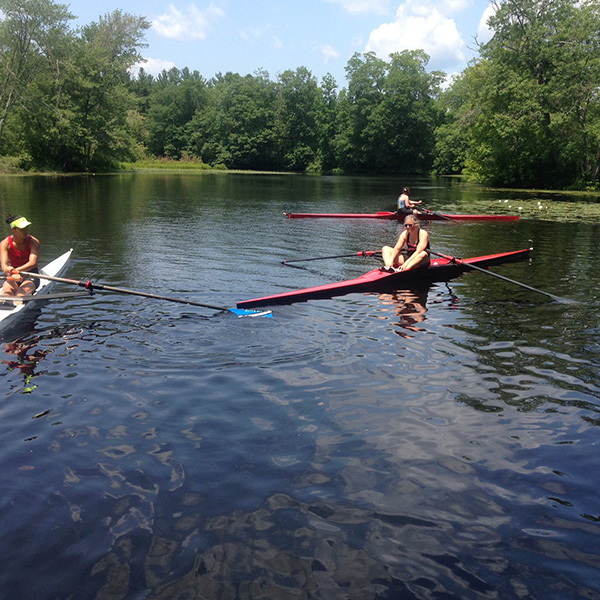 Today Durham Boat Club runs its recreational program from the Lamprey River location, which is not affected by the tides and uses the Oyster River location for for our serious competitive scullers. 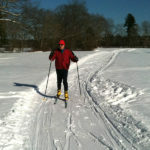 $250 per season (Spring: May 1st. – June 30th. ; Summer: July 1st. 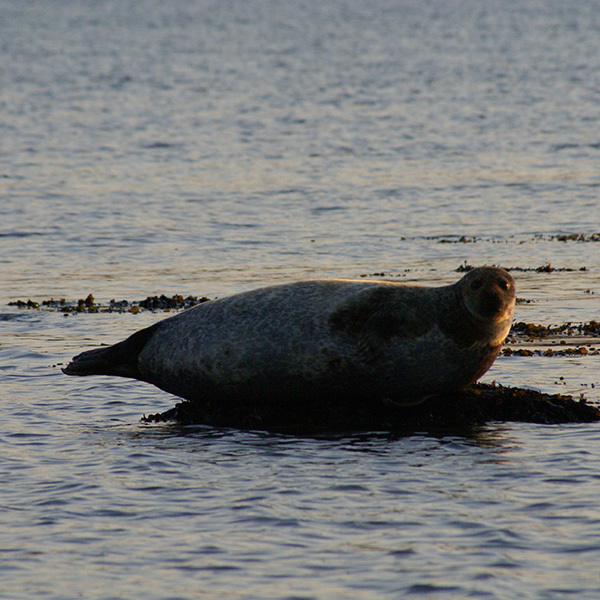 – Aug. 31st. ; Fall: Sept. 1st. – Oct. 31st. ); or $550 per year. All New Members will pay an additional one-time fee of $50 with the first payment of dues. This fee will cover the initial lesson. 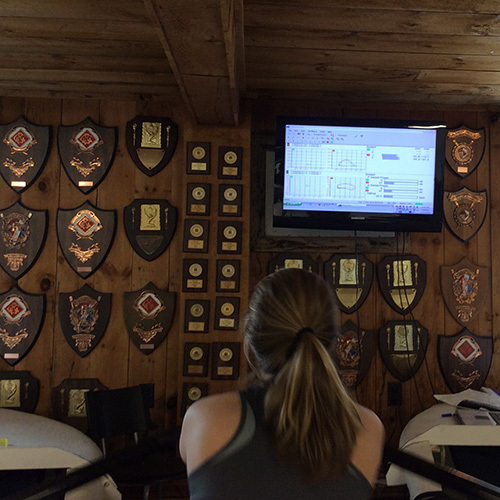 Lessons are provided for a $50/hour fee unless rowing with one of the supervised programs. 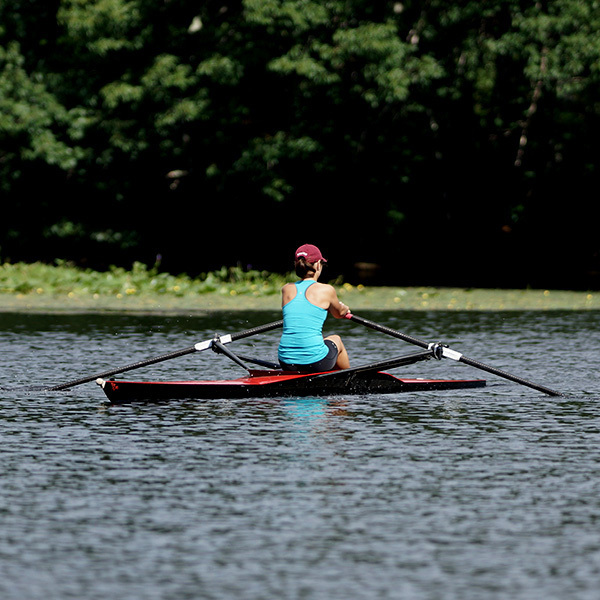 Only experienced scullers may row on the Oyster River unless under the direct supervision of a coach. 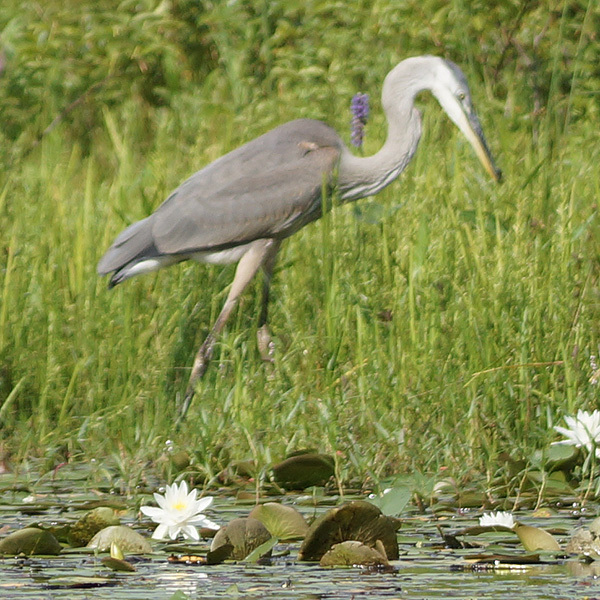 Recreational boats and novice level singles are restricted to the Lamprey River. Private rack rental is on a first come first serve basis and members must pay the same dues as other club members. 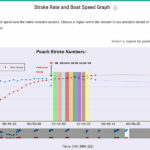 The rate for individuals just storing their boat for the winter only is $250. 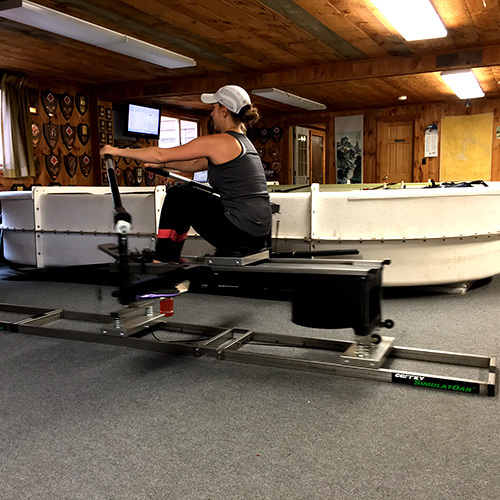 A 2-Station Indoor Rowing Tank is available to club members for use. 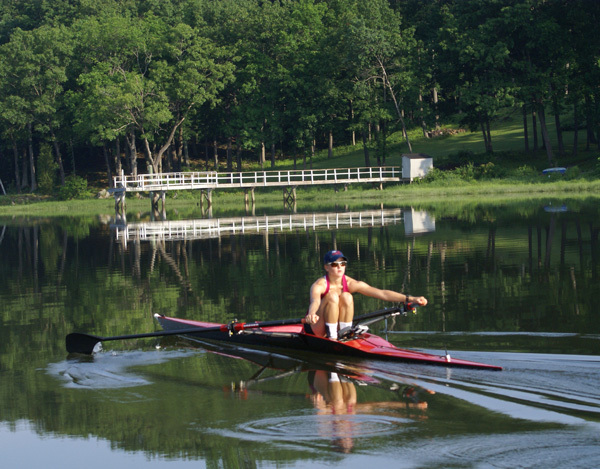 For non Durham Boat Club members, the tank can be used for a fee of $25.00 per hour and for out-of-season Club members (i.e., any member in the previous year) the fee is $15.00 per hour. First priority will be to existing club members. Boats and Other Related Water Craft: 4 Rec-Racers or comparable recreational shells and 4 Racing Singles. 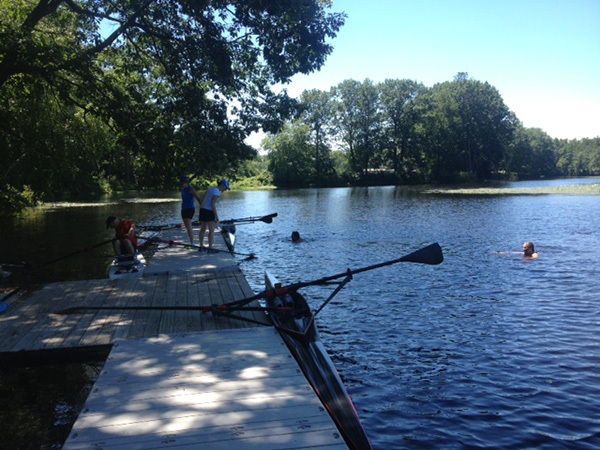 We also keep 1-2 SUPs with rowing units tied to the dock, so that if club members come on the on weekend and cannot get a boat down to the dock. Some club members own their own. 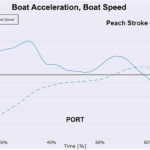 Indoor Rowing Tank: 2-Station Sculling/Sweep Athlete Powered Tank: The Indoor rowing and sculling tank is equipped with a force measurement system to allow a real-time view of tank participant’s force and handle speed curves along with stroke length, slip, power per side bar graphs and stroke rate, time and stroke rate. 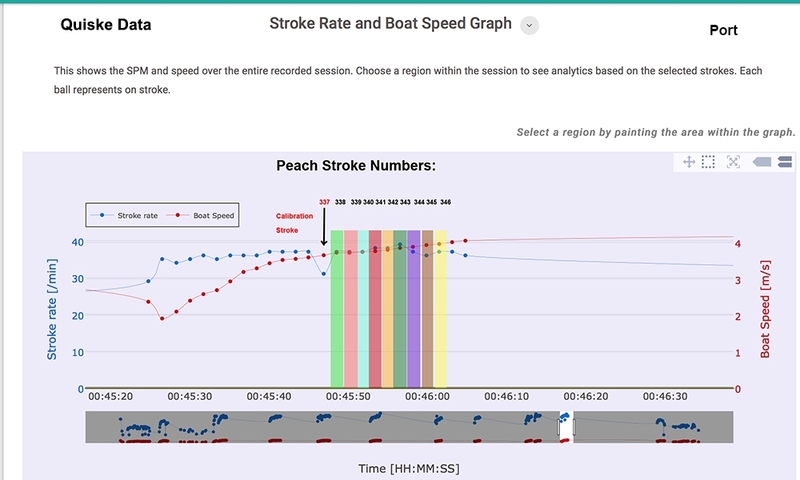 On-the-Water Data Analytics: In addition, real-time feedback can be transmitted wirelessly from a Quiske sensor on an oar or the seat to a paired android to allow a team member to see up to four curves (acceleration-decleration, flight path, handle speed or force curve in addition to 4 to 8 panes of numerical data, like boat speed, stroke rate, stroke length, etc. 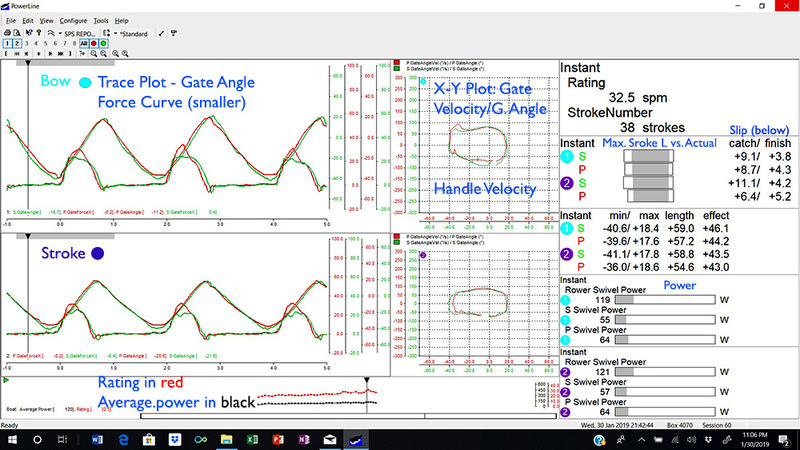 Not only can a club member see the curves in real-time, but after uploading into a portable they can see in more detail in a data storage web site: (example of a pane or portal data shown on the web portal). 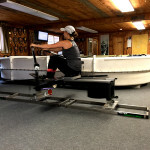 Rowing Simulators: (2) Coffey Sculling SimulatOar™ on Floats tied together, which are like slides with springs, which provide a close simulation of the feel of sculling on the water in a double. 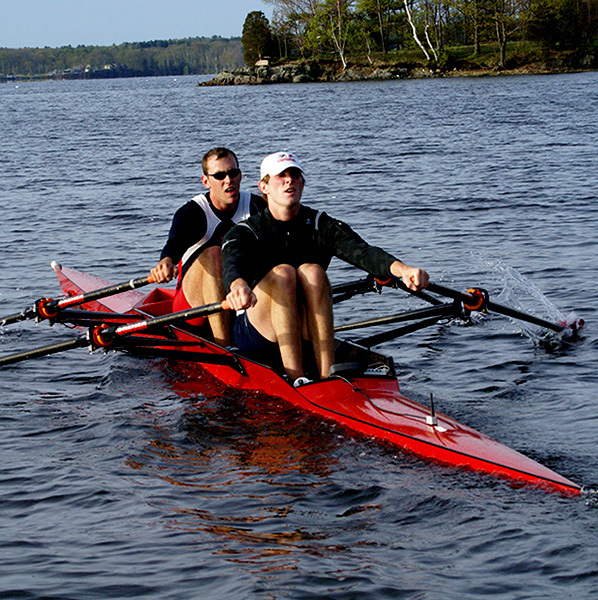 The two Rowperfect can be tied together side-by-side and the Coffey SimulatOars™ are tied together sitting as in a boat to work on synergism between two athletes as well. 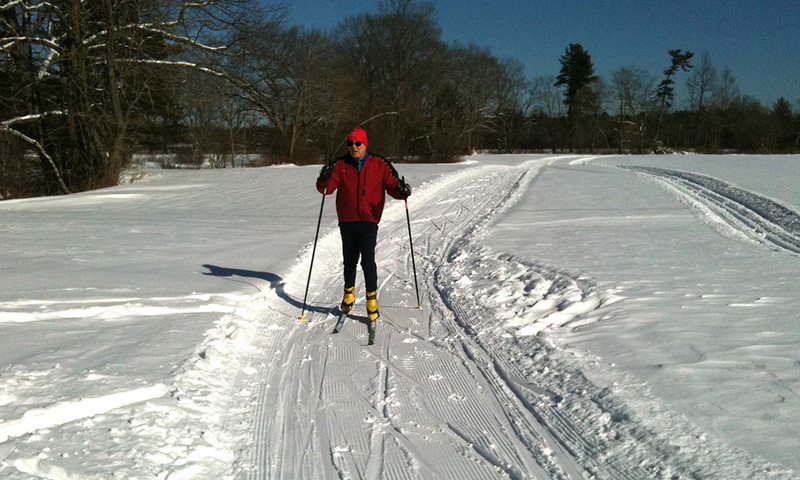 X-country skiing and/or skating during the winter from the Lamprey River location is also available when weather conditions permits. Masters/Recreational, competitive (any age) and juniors. Sculling: All levels; private and group lessons are available. 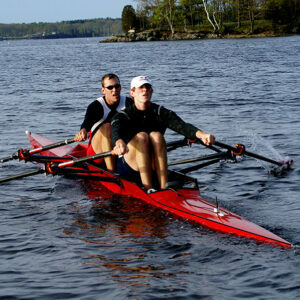 Coaching is available to competitive athletes of any age. Club Colors and Blade Description: White, red and blue uniforms with black blades. Full-Year Member Discounts on Equipment and Accessories: 20% on oars; 5% on boats (up to $500 discount on boats, 10% on hardware or accessories and 20% on Team clothing. These specials are on items that are not already on another discount. 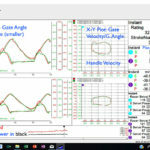 The program’s focus has shifted around between Juniors, Pre-elites, Elites and Masters depending on the level of interest. 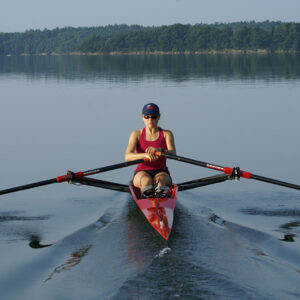 Presently the emphasis is on scullers of any age.